iSpot currently has 107 of South Africa's frog species (88%). 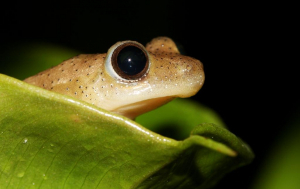 This project lists the frog species that have yet to be observed on iSpot, and shows species that are less frequently seen. Only observations within South Africa that are clearly identifiable will be counted. Hopefully this will get down to zero names at some stage. To see spatial observation counts and species richness open the images below.